Home Mobiles Reliance Jio 1000 Rs phone with 4G VoLTE free calls coming soon? JIO Infocomm is all set to launch its cheapest 4G and VoLTE enabled mobile phone in India. The big news is that the firm will introduce its device for a price tag below Rs 1000. If you were born in 1990s or before that, you may know that Reliance group had revolutionized the telecom sector by launching cheapest call rates ever. Looks like JIO wants to revolutionize phone industries by launching the cheapest ever 4g phone. JIO has introduced several 4G mobiles within 4000 to 19999 Rs in the LYF series. Even tough the handsets don’t have as good ratings as top-selling phones below 10000 Rs such as Xiaomi Redmi 3, 3S, Moto E, Lenovo K4/K5 note, Reliance has successfully sold several 1000 units of LYF phones, thanks to the welcome offer. 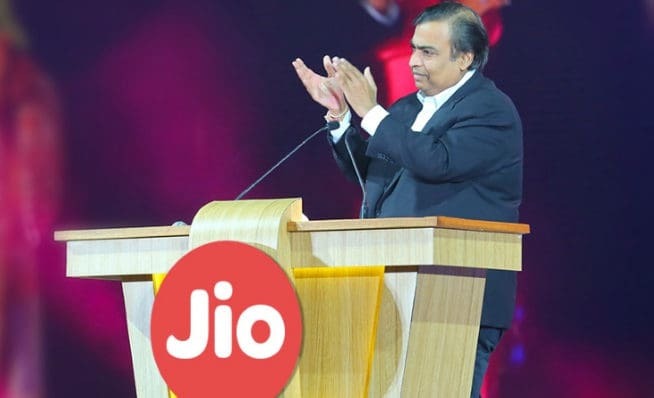 The new JIO device will off course be a feature phone but unlike other cheap handsets available in the markets, it will carry latest networking modules to allow users establish 4G or VoLTE connectivity. It is also expected to pack the JIO welcome offer. The device will help Reliance JIO bring its services to non-metro cities and villages. As per a report published on leading news website India Today, Reliance will launch two versions of its cheapest 4G mobile phone. One device packs basic features and may cost Rs 999. Another device offers better features than the 1st mobile and it costs below Rs 2000. As both the Reliance JIO 1000 Rs phones are enabled with 4G SIM card slots, users can use messaging and social networking apps. If they run on modern OS such as Android, you can share your phone internet connection with the PC by enabling USB tethering/debugging mode. The mobiles may support JIO apps that let users make free calls, watch unlimited movies, etc. As the devices have a low price tag, they may not include a front-camera. Why the Reliance JIO 1000 Rs 4G Phone is a possibility? Reliance Group a firm with a turnover in billions of dollars owns the RJIL aka JIO Infocomm limited. The company may not incur heavy losses because of its cash-rich parent organization. JIO may introduce limited quantities of the 1K Rs 4G handset, a strategy successfully employed by Ringing Bells. For those who are not aware, RB is the company behind the 1GB RAM enabled Rs 251 Freedom phone. Ringing Bells is a startup. If a newly formed company can launch a phone for below Rs 1000, why can’t Reliance Group? Customers: Before the beginning of the year, JIO had few thousand subscribers. By the end of 2016, it has over 28 Mn subscribers. This is remarkable. Broadband: According to trusted news portal India Today, JIO may launch 1 Gbps fiber optic fiber broadband for every user. SIM cards delivery: RJIL has announced that it will begin free delivery of JIO SIM cards starting next week. If launched, will you buy the new Reliance JIO 1000 Rs phone?